Thank you for your concern. The blog, hoju and I are still well and alive. If there is no update for more than half a year, then you should start to worry 😛 I am annoyed to discover that a website posted my mini-specials without linking or crediting me. When I am annoyed, I’ve no mood to do anything. Needless to say, they also didn’t ask for my permission. I want to reiterate that I don’t want anything on this blog to be re-posted anywhere in this world. It is even more irritating that they can’t even copy well. They only copied the text but not my pretty pictures. I can’t stand having such an imperfect and ugly copy floating around. Whenever I find any pretty pictures or any grammar/spelling errors, I’ll update my posts continuously. To celebrate the ending of the drama Eternal Love, I’ve dug up something which I’ve not posted before to share with you. Hamster also translated number nine from her Pillow Book artbook. Categories: Hua Xu Yin, Life is a Twice Blooming Flower, Three Lives Three Worlds Pillow Book, Three Lives Three Worlds Ten Miles of Peach Blossoms | Tags: Tang Qi Gong Zi, The Pillow Book, Three Lives Three Worlds, Three Lives Three Worlds Ten Miles of Peach Blossoms, Translation, 唐七公子, 三生三世，十里桃花, 三生三世枕上书 | Permalink. Do your favourite authors look like your imaginations? Are you shocked or surprised by their photos? 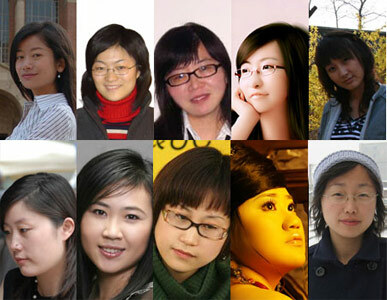 There are more to come so stay tune for Part 2 if you are curious to know how Feng Nong who is the author of A Lonesome Fragrance Waiting to be Appreciated and Fresh Gor Gor who is the author of Hua Qian Gu plus many others look like. Categories: Bu Bu Jing Xin, Come & Eat Shan Shan, Da Mo Yao, Eastern Palace, Gu Man, He Yi Sheng Xiao Mo, Hua Xu Yin, Let Me Look at You, Life is a Twice Blooming Flower, Mirage, Song in the Clouds, Three Lives Three Worlds Pillow Book, Three Lives Three Worlds Ten Miles of Peach Blossoms, Xin Yi Wu | Tags: Bu Bu Jing Xin, C-Drama, C-novel, Da Mo Yao, 顾漫, Gu Man, Hua Xu Yin, Jin Yong, Let Me Look at You, Tang Qi Gong Zi, Three Lives Three Worlds, Tong Hua, twice blooming flower, xin yi wu, Yuan Hong, 华胥引, 唐七公子, 岁月是朵两生花, 杉杉来吃, 三生三世，十里桃花, 三生三世枕上书 | Permalink. I did 35 Favourite Male Characters before but this is 100 Most Attractive Male Characters:P There is I think 2 overlaps only which are number 92 (no. 35) and number 73 (no. 27). I won’t write anything on books which I’ve not read or know nothing about. In future if I do read them, I’ll edit this post. Please contribute if you’ve read them. This time I’ll include some notable quotes from some books instead of getting Lidge to write some comments since like me, she has not read most of the books. Some are just too lengthy or heavy duty for us. I bet most of you will not be happy with at least one of the ranking. I didn’t compile this list so don’t throw tomatoes at me:P I’ll include the baidu source in part 2. Do stay tune for that because someone you know will be there, hint hint, lol. Categories: Da Mo Yao, Eastern Palace, Heavy Sweetness Ash Like Frost, Life is a Twice Blooming Flower, Three Lives Three Worlds Pillow Book | Tags: C-novel, Da Mo Yao, 香蜜沉沉烬如霜, Heavy Sweetness Ash Like Frost, Tang Qi Gong Zi, The Pillow Book, Tong Hua, Translation, twice blooming flower, 唐七公子, 岁月是朵两生花, 三生三世枕上书 | Permalink. Categories: Hua Xu Yin, Life is a Twice Blooming Flower, Three Lives Three Worlds Pillow Book, Three Lives Three Worlds Ten Miles of Peach Blossoms | Tags: Ancient, C-novel, Hua Xu Yin, Tang Qi Gong Zi, The Pillow Book, Three Lives Three Worlds, Three Lives Three Worlds Ten Miles of Peach Blossoms, Translation, twice blooming flower, 华胥引, 唐七公子, 岁月是朵两生花, 三生三世，十里桃花, 三生三世枕上书 | Permalink. Part 2 of the specials include characters from Tang Qi’s other books, Hua Xu Yin and Twice Blooming Flower. 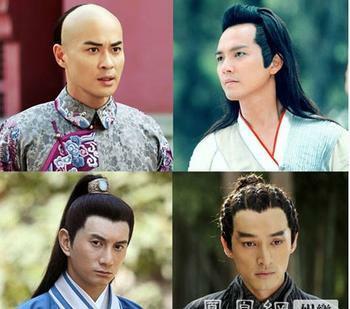 Hua Xu Yin is currently being filmed into a drama with Kevin Cheng, Yuan Hong and Jiang Xin. However, it’ll not be following the novel closely, so go to Chenguang’s orchard if you are interested to read the English translation. You can also find some snippets by Hui Er on this blog. There is no English translation for Twice Blooming Flower but you can get more information from the book bar. You can still enjoy the specials without reading these two books but it’ll be much more enjoyable if you’ve read them. Enjoy !